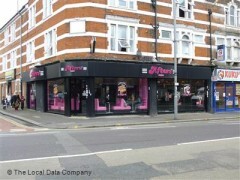 About: Afters offers smoothies, sundaes, milkshakes and ice-cream in a vintage diner setting. Afters offers some tasty treats - I’ve popped in several times and found a good selection of quality cakes at whatever hour I visited. My favourite was the Rainbow Cake. I found the staff to be attentive and friendly. Nothing was too much for them. I recommend a visit. Customer service is very poor, so I would advise management look into it. Very disorganised place and unpleasant. Staff needs to be more attentive.